We are offering a high quality range of Air Oil Separators to Lubricant from the compressed air stream. The oil separators are structured with excellent quality raw material and advanced technology as per set industry norms. These separators are widely used in chemical, pharmaceutical, food & beverages, water treatment, electronics, etc. The offered range is stringently tested on various parameters in order to deliver defect free range at clients’ end. Clients can avail the offered range of separators from us at highly affordable price. Inaugurated in the year 1997, at Thane (Maharashtra, India), we, “Aaba International”, are noted as the trusted manufacturer, exporter and supplier of a qualitative assortment of Compressed Air Filters, Disc Filters, Dust Collecting Cartridges, Filter Bags and Housings, HVAC Filters, Magnetic Separators, Oil Filter Cartridges, Cellulose Paper Filter Cartridges, Perforated Sheets and Meshes, Sintered Filters, Basket Strainers, Water Filter Cartridges having state of the art Testing Facilities. Our complete product range is fabricated using the finest grade raw material and advanced technology. These products are manufactured with high precision under the supervision of our experienced professionals in order to meet the international standards. 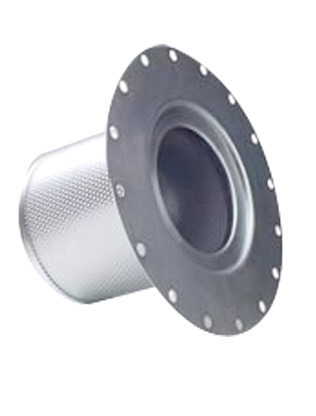 Our products are extensively appreciated among our valuable clients for their sturdy construction, precise filtration, excellent finish, high tensile strength, dimensional accuracy and longer service life. Apart from this, we also offer these products in various sizes, dimensions and patterns to meet the varied demands of clients. Clients can avail the offered products from us at the industry leading price range.